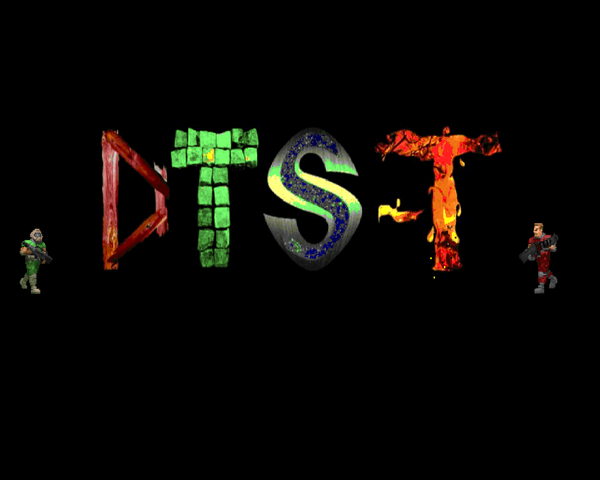 DTS-T is not the worst PWAD in the world (nor the worst PK3). 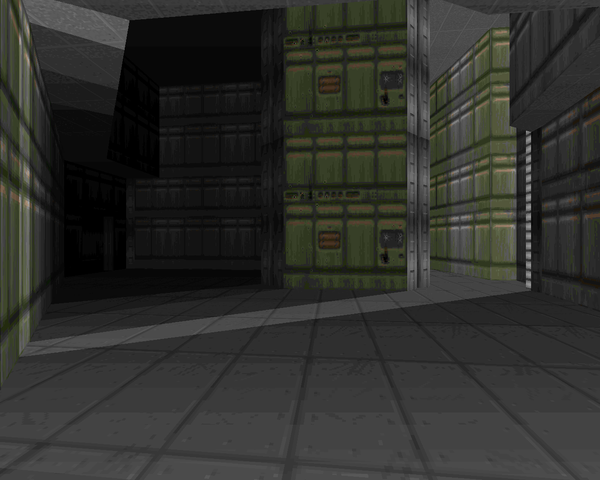 Released in 2012 by Ingmar Derks, it is a 33-level mapset for Doom II to be played in ZDoom-family ports, featuring a lot of scripting and voice-acting from the author, delivered via a few audio logs and many one-sided radio communiques from your handler. 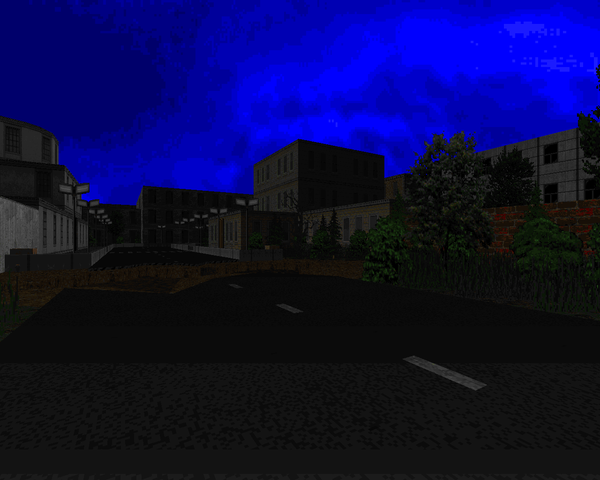 It has a few new enemies and a handful of textures, mainly from R667 and Final Doom. Most of its music selection comes from the IWADs (and Duke 3D, of course). It's also been in development for awhile; Derks claims to have started work back in 1998 and a Doomworld forums search reveals an ancient news post circa 2002 teasing a potential demo (eventually released in 2003). 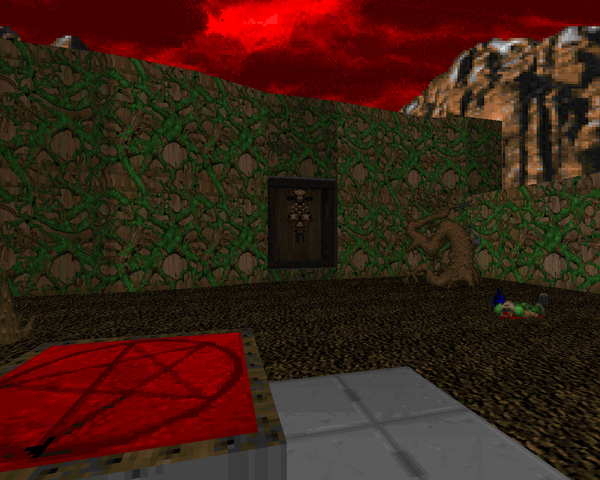 ZDoom has a long and colorful history of being the most feature-rich Doom sourceport. 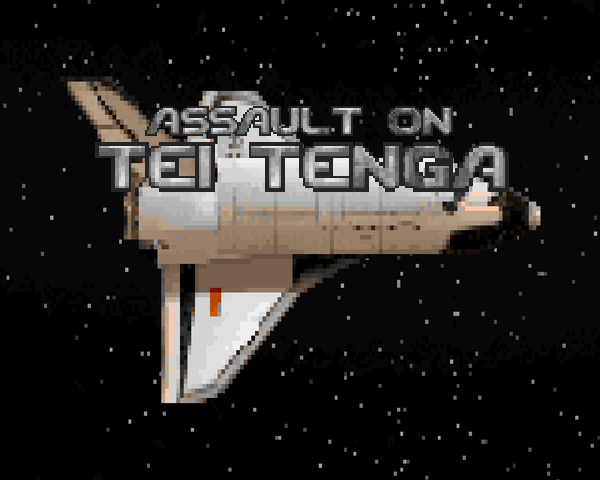 Assault on Tei Tenga, released by Sam Ketner in 1999, stands alongside others at the forefront of this legacy, being one of the first mapsets to take its target port's features and run with them. It's six (very small) levels for Doom II in a hub arrangement that tells the same old story of another UAC colony that's gone to seed. You've been in cold sleep when your shuttlecraft is diverted to the Tei Tenga settlement after a lack of communications. After arriving at the orbital station, your goal is to reestablish contact with the colony and assess what condition the condition is in. Xided is one of those pleasant Doom releases that shows nothing but love and a little art for a game that's eighteen years old. Actually, it's a MAP01 replacement for Doom II, but I still appreciate the gesture. I'm not sure what port Russian Doomer Nort intended this to play back in; I think it might work at the very least in any limit-removing port, but I make no promises as I played it in ZDoom. Nort only affords you one goal: escape your surroundings (an infested base) and make your way to a...floating island in the sky. Cool, huh? Authors have been pretty good about releasing their unfinished projects as of late. 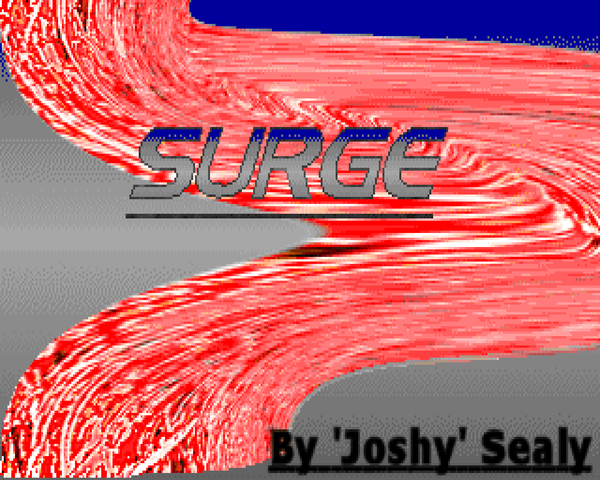 Joshy's Surge was intended to be a full-fledged Scythe-like megaWAD but he found himself weary of mapping and elected to publish the seventeen levels as-is (and an unfinished MAP18 as a teaser), much like skillsaw did with Vanguard (or more recently Pawel Zarczynski's Stomper). Surge was made for Doom II, to be played in Boom-compatible engines. It doesn't muck about with a story, with its maps being the main showcase, much like Joshy and Darkwave0000's Speed of Doom. It's all about action. Memfis is a cool dude that was more of a speedrunner than a mapper until 2011, when he started publishing some small levels he'd been doing, starting with VODEIM21. It's nice that he's taken less than two years to craft subsequent offerings, though it would be cool if he would pick up where he left off with the rest of Voyage to Deimos (admittedly an implausibility in his current state of mind). I say that because it's a fun if not exactly easy level to play. It's a single level for the original Doom, of course, replacing E2M1. I presume that it runs in vanilla Doom as the target port isn't listed, but I don't know that from experience, so don't quote me on that. If I know anything about the Russian Doom community, it's that they love their speedmap competitions. 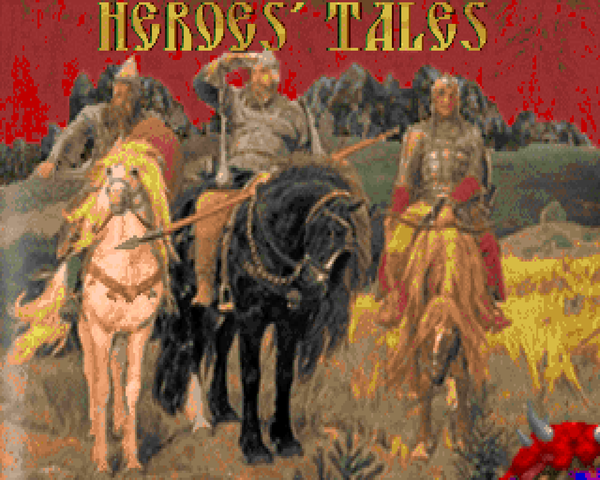 A year ago, this gave birth to the Christmas time megaWAD Whitemare, but back in 2009 an assortment of entries were combined with brand spankin' new material to create Heroes' Tales. It's a full-fledged megaWAD for limit-removing ports that requires the Evilution IWAD for resources in several areas. HT doesn't work as a sequel to TNT, though. Its story is more or less draped over the framework of the rearranged levels. The text is vague and could really apply to any scenario, to the point that I'm not really sure it's even worth expounding upon. Suffice it to say that you're going to fight your way through a bunch of demon infested areas until you put the hurt on the big bad that's responsible. The Plutonia Revisited Community Project was fortunate enough to have enough submitted maps to be able to reject a few. Well, lucky for PRCP; not so for the misfits' authors. Pitfalls, by C30N9, was one of the levels that didn't make the cut. Released on its own, it's a medium-size level replacing MAP01 to be played with the Plutonia IWAD. It's pretty abstract for a Plutonia level, which is probably one of the reasons it didn't make the cut. C30N9 plays around with a handful of interesting set pieces, but the whole package feels kind of scatterbrained as it moves from theme to theme. Matt Tropiano has been making Doom levels since 1998 and as late as 2012 he decided to grace us with a megaWAD in progress which he'd called quits on, subtitled Episode 1 so that he could pick it up again if he got up the gumption. 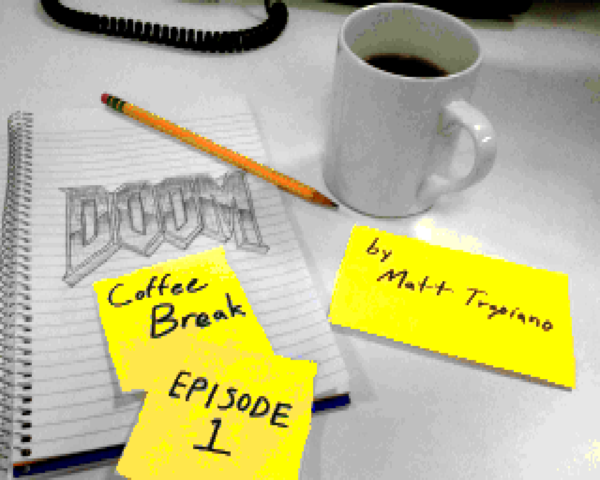 Coffee Break's first episode consists of eleven Doom II levels, to be played in Boom / MBF compatible ports. It's got some extra care when played in ZDoom-derived stuff but nothing important, just ending the game at MAP11 to cap things off. There's no real story, just intermission texts that hint at the usual demon-blasting goodness. If Russian author Lainos is known for anything, it's his crop of expressive, exploratory city levels. Works like 5till L1 Complex are known for their sheer size and non-linearity, so his Lost Way - also release in 2012 - comes as quite the departure. 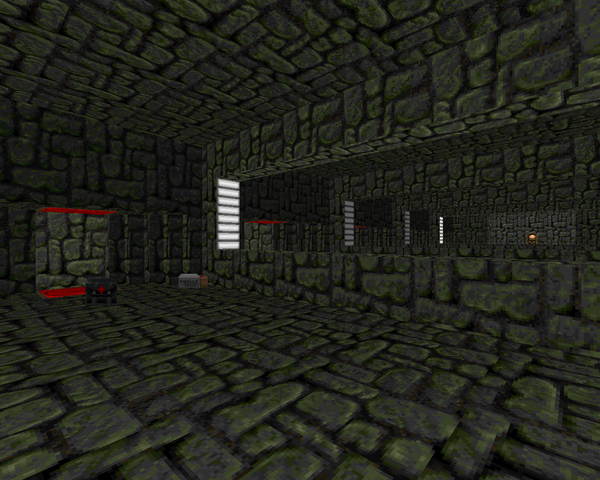 LOSTWAY is a single map for Doom II to be played in limit-removing source ports with .OGG support, preferably PrBoom+. It's a city level, of course, the textures drawing from the same fountainhead as Overdose, but there's a little something extra poured into the pot, an Egyptian flavoring that suggests something beyond his usual oeuvre.